Or how many times can I write ‘thing’ in one entry. So I signed up for LibraryThing earlier this week, and have been adding books from my own collection and poking around the site. 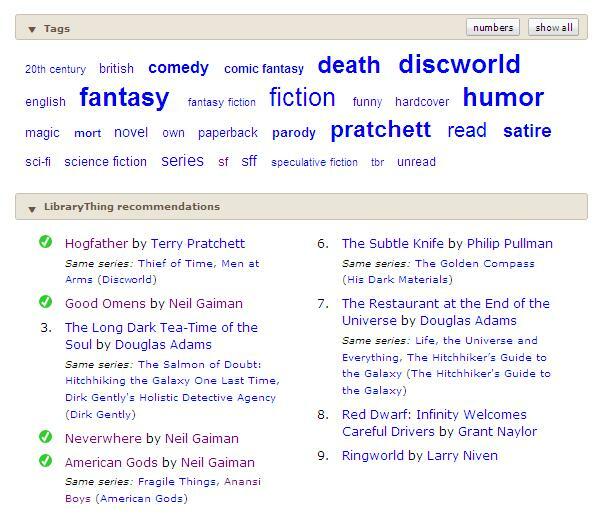 From a personal perspective I can see the appeal of LibraryThing. 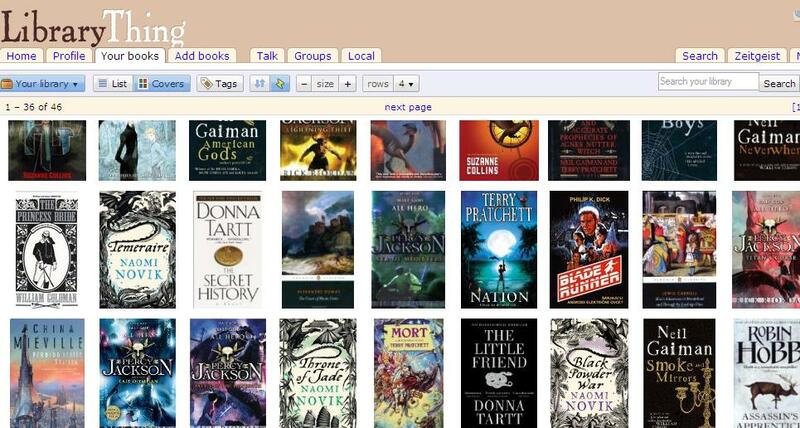 I like how you can organise books into collections, such as ‘Currently Reading’, ‘Read but unowned’ and ‘Favourites’. I could definitely see myself using LibraryThing to keep track of what I’ve bought and read recently. Each book has a page with ratings, recommendations, tags and reviews. I was interested to see what LibraryThing would automatically recommend based on what I’ve uploaded. Other Users can also list their recommendations. I find the inclusion of tags on the pages useful, as it give a bit more information about the subject of the book and how many people have read it. I can see how LibraryThing would work well for a small library. A life account (allowing you to add as many books as you wish) is available to purchase. This would be a great way to set up an online catalogue for a smaller library. As for me, I will probably add more books to my LibraryThing account. As I mentioned before, I think it’ll be a good way to keep track of my ever growing pile of books to read. One day I might even review some of my favourites! Oh great, you have the Temeraire series too. I think they are brilliant and cant wait for the next one. Your post has also reminded me to add my Terry prachett books to my library.